Not only is the Australian sharemarket trading around a post-GFC high, the level of mergers and acquisitions (M&As) is also on the rise. 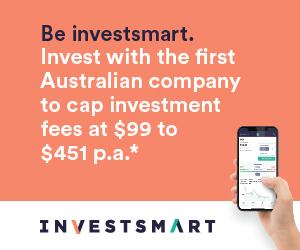 Research by business intelligence firm Mergermarket, as shown in its latest M&A Trend Report, finds that after two consecutive financial year declines, Australia’s deal value for the 2014 financial year increased 96% from A$ 46.4bn to A$ 91bn. This is a reflection, says the Australian Financial Review, of Australia’s “favourable business environment”. There were two deals in FY2014 above the value of A$5bn, after none of this size in FY2013, and just one in the three years prior to this. These large deals totalled A$18.6bn, the highest amount since FY2008. The Mergermarket report says that part of the “explanation for the increased deal values is the deal count reaching a post-crisis high, with 501 deals being the most since 2007”. Much of the M&A activity for FY2014 occurred in the mining, energy and utilities sector. It topped the sector list with 92 deals worth almost $30bn in total, with 52 of these deals occurring in the first 6 months of the financial year. In deal value, this sector was followed by the real estate sector with a total of 8 deals worth $12.6bn, and the transport sector with 24 deals also worth $12.6bn.